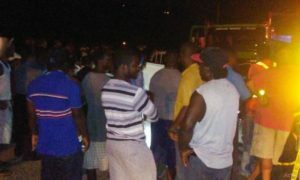 Deputy Fire Chief, George Victorin, while expressing gratitude to members of the public for their help at the scene of Tuesday evening’s fatal accident at Bexon, has appealed to them to allow fire fighters to manage the scene. “We usually have persons encroaching on the scene which makes it very difficult for fire fighters to operate,” Victorin told St Lucia Times. He acknowledged that at times members of the Saint Lucia Fire Service (SLFS) would request help from the public. “But please, let it be in an orderly manner. We are appealing to them not to try to take over the scene from the fire fighters,” the Deputy Fire Chief explained. An adult and two children died as a result of Tuesday’s accident. 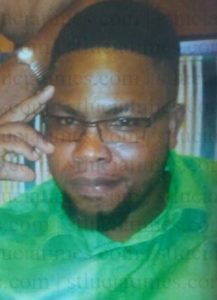 According to a police statement, Ferguson Donnelly, a thirty two year old resident of Barre Du Chaussee, was driving a pickup, registration number 8752, along the Bexon Highway, travelling in a southerly direction, and collided with a stationary motor truck. He was accompanied by nine year old Leilahi Beaubrun and three year old Kealeb Cotter, who also succumbed to injuries sustained, the police said. 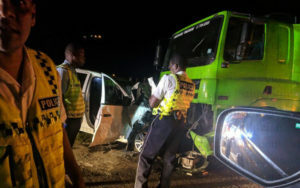 The fourth passenger of the pickup, a six year old male, has since been air lifted to Martinique, for medical assistance, in critical condition, according to the police. The Deputy Fire Chief is tight. Once the Fire & Rescue team arrive on the scene of an accident, no one should become an impediment in the execution of their duty. If they call for assistance from the public then give. Heart-felt condolences to the relatives and friends of the deceased. May the prayers and comforting words you receive keep your spirits buoyant.